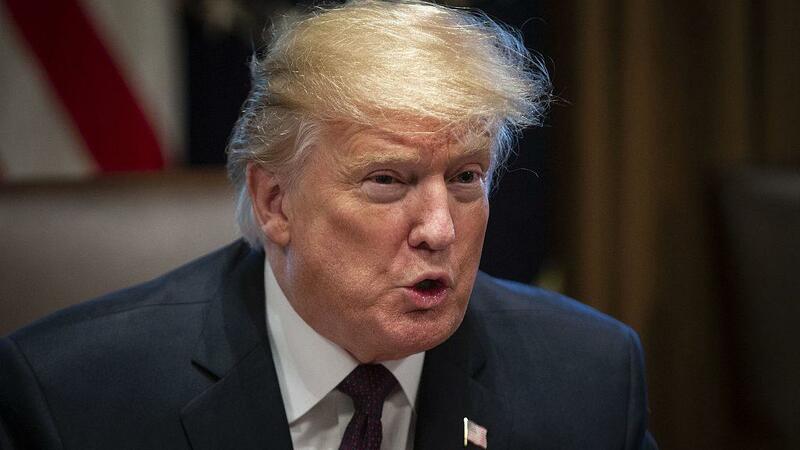 WASHINGTON, Jan. 23 (CGTN) -- U.S. President Donald Trump said in a late-night tweet Wednesday that he will deliver the state of the union address in Congress "in the near future" after the government reopens after House Speaker Nancy Pelosi effectively blocked him from delivering the annual speech in Congress. "As the Shutdown was going on, Nancy Pelosi asked me to give the State of the Union Address. I agreed. She then changed her mind because of the Shutdown, suggesting a later date. This is her prerogative - I will do the Address when the Shutdown is over," he tweeted. Trump also said he's not seeking other venues for the address. "I am not looking for an alternative venue for the SOTU Address because there is no venue that can compete with the history, tradition, and importance of the House Chamber," he said. "I look forward to giving a 'great' State of the Union Address in the near future!" The tweet capped a dramatic day in which Trump and House Speaker Nancy Pelosi were engaged in a back-and-forth regarding the time and venue for the address. When sworn in as house speaker on January 3, Pelosi invited Trump to deliver the speech on January 29 in accordance with long-running tradition. As the government shutdown continued, Pelosi suggested on January 16 that Trump postpone the date, citing security risks due to the government shutdown. Earlier on Wednesday, Trump told Pelosi that he intended to "honor the invitation" and deliver the speech on January 29 as planned, only to be rejected by Pelosi hours later. Speaking with journalists after Pelosi's rejection, Trump floated the idea of finding an alternative venue to deliver the speech, with the southwest border being one of the rumored locations. The tweet signaled that Trump has finally decided to heed Pelosi's suggestion and wait for the government shutdown to end, handing Pelosi a political win. The U.S. government shutdown, stemming from a disagreement between the White House and the Democratic Party regarding funding for a border wall, is about to enter its 34th day. Congress has shot down numerous legislative attempts to reopen the government, as both parties have yet to mend their wide divide on the issue.